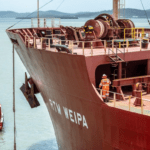 Rio Tinto has reduced its 2019 guidance for Pilbara iron ore shipments following a damage at the port brought by tropical cyclones. 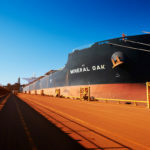 The mining giant’s 2019 guidance for Pilbara shipments has been revised to 333-343 million tonnes, down from 338-350 million tonnes. Further, Rio Tinto reported a 14 per cent reduction in its Pilbara iron ore shipments of 69.1 million tonnes during the March quarter this year compared to the same period last year. The drop reflects a slower ramp up and ongoing disruption to shipments caused by weather in March and a fire at Cape Lambert A in January this year. 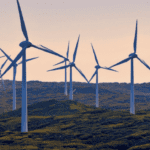 These are expected to affect production through to the second quarter of 2019. “Our iron ore business faced several challenges at the start of this year, particularly from tropical cyclones,” Rio Tinto chief executive JS Jacques said. 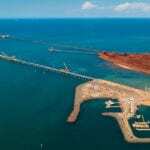 The Tropical Cyclone Veronica made landfall between Karratha and Port Hedland on March 24, affecting not only Rio Tinto’s operations but also those of Fortescue Metals Group and BHP. Rio’s recovery work was further hindered by Tropical Cyclone Wallace, nearly 300 kilometres off Western Australia’s north-west coast earlier in April, according to the company. Its Pilbara unit cost guidance in 2019, however remains at $US13-14 ($18-19) per tonne. Iron ore prices have surged this year due to supply shocks in global commodity markets, the largest of which was the collapse of Vale’s Brumadinho mine tailings dam in Brazil in January 2019.